A wonderful smell! Granny is cooking! 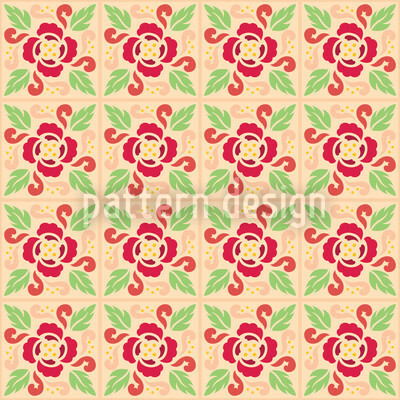 This sweet design consists of floral tiles in strong colors.